Cracking the Code: MDAS, OPAC, NOTIS: Where’s the Patron? Seems we’re still asking that question. 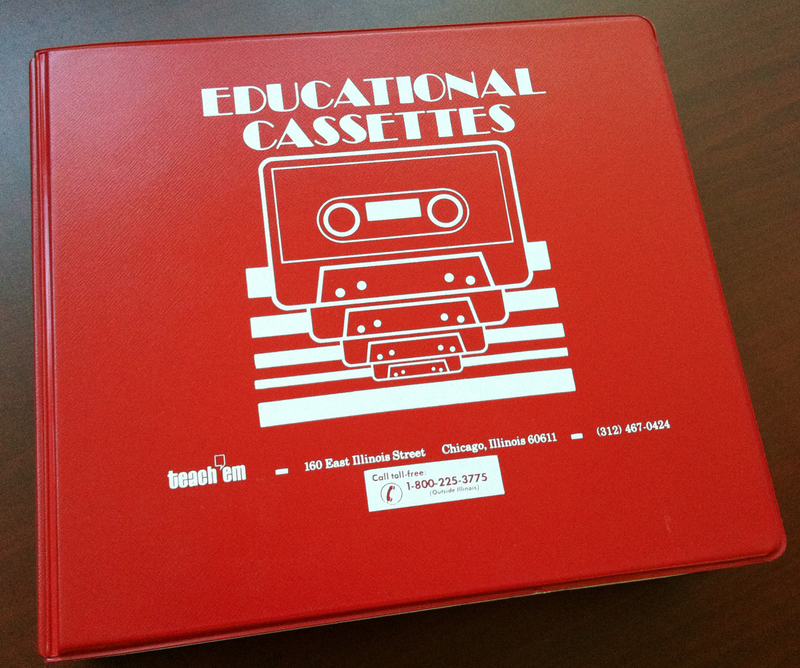 There are 54 cassettes in all, which begs the question if anyone here (or anywhere) actually sat and listened to these. I suspect some did, but as with most such documentation, it was most likely dutifully shelved and forgotten. The binders and tapes on my desk are in pristine condition and show no signs of use. They are headed to the trash because I am not nostalgic about this stuff. Perhaps we should have a Museum of Dead Library Technology, but until there’s a place like that where I can send such items, they’re trash/recycling bound. When I started in libraries, I worked with NOTIS on dumb terminals. 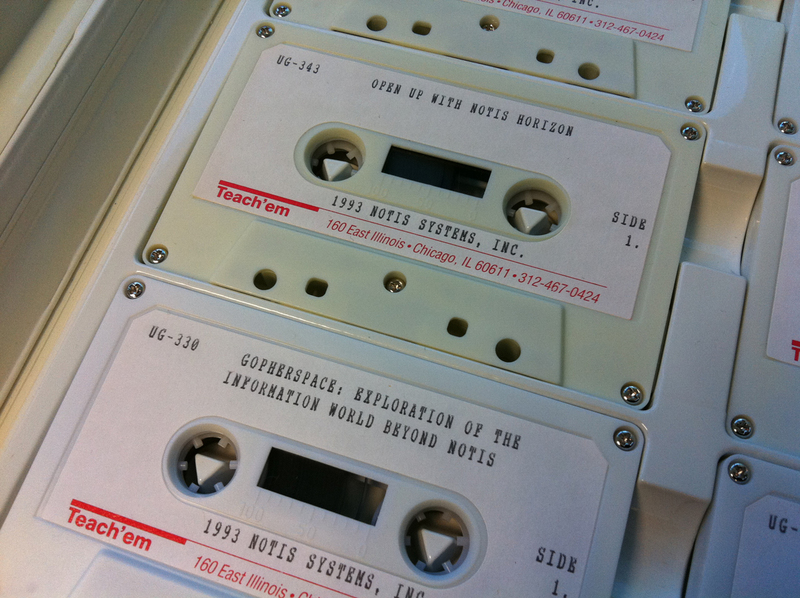 It’s hard for me to grasp that we’ve gone from those (with documentation on cassette tapes!) to a wholly networked and virtual world in less than two decades. It’s old hat to marvel about the Web, but objects like this bring it all home.